The Central Election Committee hereby makes known the candidates for the elections for the university’s Student Council at institutional and faculty level on the 21 and 22 of May 2019. 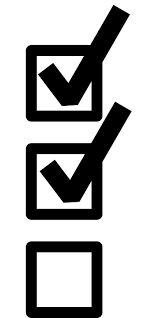 Visit the SA website for more information regarding unenrolment and/or possible refund of tuition fees. Calvin Rans is the best teacher of the Netherlands. And guess what? He is teaching you and your fellow students the best lessons in Aerospace Engineering; just at our own university! The jury was head over heels about his efforts to improve his lectures. TU Delft has more nationally awarded teachers, such as Alexandru Losup, who won the award for best Dutch teacher in 2015. Books? Boring lectures? Nope, professor Rans has the unique talent to make complex ideas and concepts easy to understand. That is why professor Rans was signed up for the competition of best teacher in the Netherlands, just by his own students! His students and professor Rans himself were more than happy that he was voted for best teacher of the Netherlands. 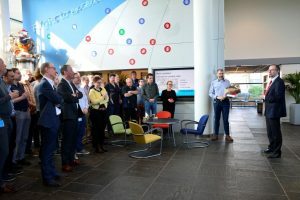 On 17 April Calvin was recognized for his achievement by Rector Magnificus Tim van der Hagen, Vice President Education Rob Mudde and Dean of Aerospace Engineering Henri Werij. His colleagues, members of the student council, study association VSV and – of course – his own students attended the festive event. 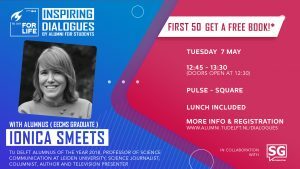 During this interview Ionica shares her experiences as a student at our University and reveals how she became how she became an outspoken advocate of science communication. It goes without saying that there’s room for questions, so come join us and prepare to be inspired! Sign up now and arrive early, because the first 50 students (present at the event) receive a copy of the book ‘Het exacte verhaal’ or ‘Don’t be such a scientist’ for free! For more information and registration go here. Hope to see you there! 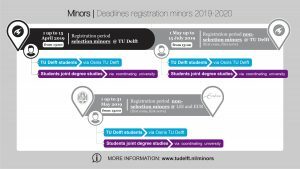 If you have chosen for a selection minor in your next academic year and you didn’t register for it yet, please do so. The registration period will be open up to and including 15 April. 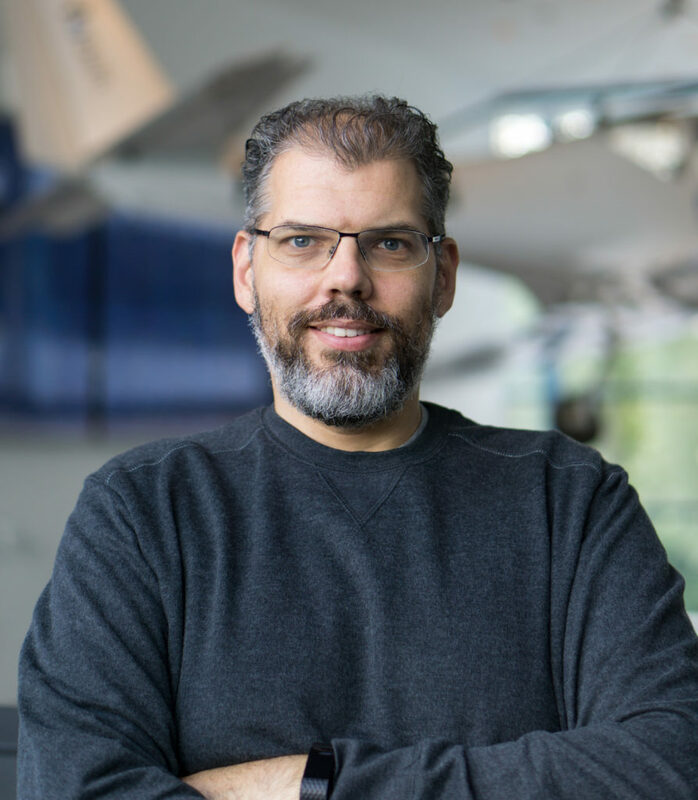 Dr. Calvin Rans, lecturer at the faculty of Aerospace Engineering, has reached the final round in the yearly national ‘Best Lecturer in 2019’ contest. The event will take place on April 13th in the Utrecht Jaarbeurs. Calvin and the other three finalists will give inspiring mini-lectures on various of their field-related topics. The Minister of Education, Culture and Science, Ingrid van Engelshoven, will be present for the award ceremony. Let’s hope he impresses the national jury as much as he did the jury in Delft. Giulia Calabretta, TU Delft lecturer at the faculty of Industrial Design was runner up in the national contest of 2018. On 13 April we know whether Calvin has had just as much or perhaps even more success. During the Education Day last year on November 8, Calvin was already awarded as Best TU Delft Lecturer. The Aerospace Engineering study association (VSV) nominated him for this title. He had to compete to seven nominees who were chosen by their faculty. If you are interested to study, do research or an internship in the United States coming semester, you are very welcome to attend our special ‘US Student Visa information session’on April 5th. A representative of the U.S. Consulate General will visit TU Delft to give a presentation with practical information and tips and tricks for submitting a successful visa application. During the exam period TU Delft facilitates you with extra opening hours to study at the Library and the Fellowship. Starting from March 30 until April 22 the opening hours of the Library will be daily from 08:00AM to 02:00AM (excl. 19-22 April). The doors of the Fellowship will be open on weekdays from 08:00AM to 00:00AM and in weekends from 08.00AM to 22.00AM. Of course you also have the availability of PULSE which has regular opening hours from 08:00AM to 00:00AM, also in weekends. 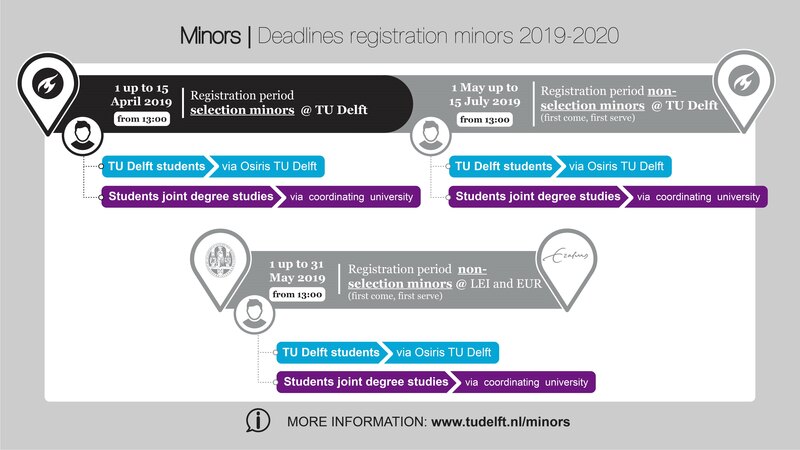 Unfortunately, an incorrect date was stated in the information you received earlier about the registration periods for the minors for the academic year 2019-2020. Please see the schedule below for the correct dates. 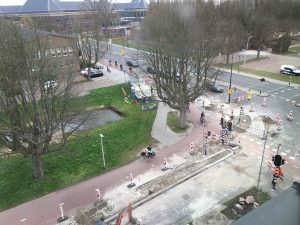 The Gemeente Delft has decided to install permanent traffic lights and make some adjustments at the Jaffalaan-Mekelweg intersection, to ensure safety of all road users and a smooth ride to and from campus. The works will take around two weeks.